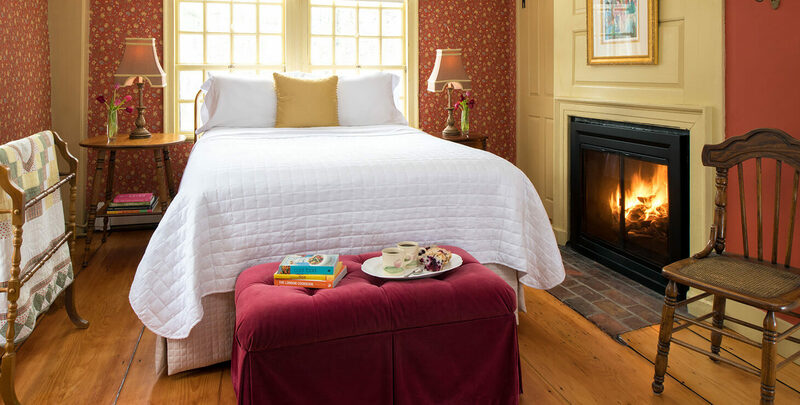 As one of the best places to stay in Kennebunkport, this romantic second floor room at our Kennebunkport, Maine B&B blends historic touches with cozy comfort. 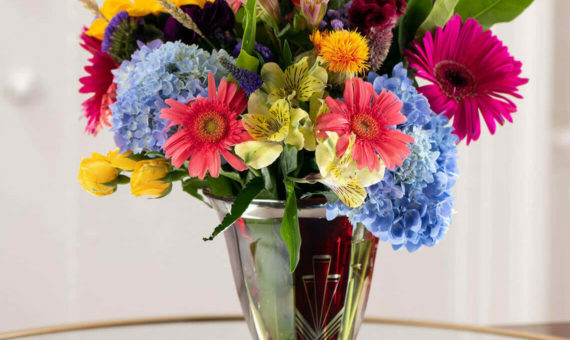 It’s furnished with period pieces, including a vanity sink set in an antique dresser. The rich floral wallpaper, the fireplace, and the warm glow of the lamps make this room one to escape to and cuddle up in. This room is named for the Bourne family who lived in the house between 1805 and 1839. George Bourne built the Wedding Cake house next door.